Whiskas brand cat food is owned by Masterfoods, which is a part of the Mars corporation. Mars, Incorporated is based out of McLean, Virginia, and is privately owned by the Mars family. Whiskas is made at a facility in Meton Mowbray in the UK. There is also a research site in England. Though many pet foods have been affected by the widespread recall of pet food, Whiskas has publicly stated that all of their cat food formulas are safe, and not part of the pet food recall. There are three different formulas of Whiskas brand dry cat food available. These formulas are all “double-basted”, though contain many filler ingredients by pet food standards. As Corn and corn by-products are one of the main ingredients of these formulas, it does occasionally result in food allergies in some cats. .
- Whiskas Meaty Selections dry cat food formula is marketed as being a mix of chicken and turkey flavors. The first ingredient in this formula is Ground Yellow Corn, and the second ingredient is Chicken By-Product Meal. Other ingredients include Corn Gluten, BHA/BHT preservatives, Wheat Flour, Brewers Yeast and Potassium Chloride. The Guaranteed Analysis of this formula includes 30% protein and 12% fat. - Whiskas Seafood Selections dry cat food formula is marketed as being suitable for all cat life stages. The first ingredient is Ground Yellow Corn. Other ingredients include Animal Fat preserved with BHA/BHT, Corn Gluten Meal, Shrimp Meal, Wheat Flour and Rice. The Guaranteed analysis of this formula includes 30% protein and 12% fat. - Whiskas For Kittens dry cat food formula is able to be fed to kittens up to one year of age. The first ingredient is Chicken by-product meal, and the second ingredient is Corn Gluten Meal. Other ingredients include Rice, Soybean Meal, BHA/BHT, Caramel Color, Marigold Meal, Wheat Flour and Wheat Gluten. The Guaranteed Analysis of this formula includes 34% protein and 15% fat. Whiskas is a relatively cheap brand of cat food, and is not favored by all cat owners. This is because it contains corn, corn by-products, wheat, soybeans, BHA/BHT, artificial color, and other undesirable ingredients. Though it is very affordable (being very low priced in comparison to some other cat food products), many pet owners stay away from cat foods that contain these ingredients. In consumer reviews, many cats experience digestive problems or allergic reactions to some Whiskas brand cat food products. Have you ever bought and fed your cat Whiskas Cat Food? If so, please take the time and let others know what you thought of Whiskas Cat Food. Below is a ranking based on the price, ingredients and availability of Whiskas Cat Food. Cannot find Whiskas Seafood Selections anywhere and my cat will not eat anything else- Help! You feed that CRAP to your pets?? ALL the supermarket brands are garbage-including Iams. Try feeding them something that’s actually good for them- Wellness, Evo, Fromm, Avoderm, Solid Gold, and many others- these use NO grains, USDA grade meats, no fillers or by-products. You’ll see the difference soon- much nicer coat and a higher activity level. Feeding your animals supermarket garbage is like humans eating at McDonalds 3 times a day- EVERY DAY. Whiskas, killed 1 of 3 cats of mine and made the others sick. I am extremely upset about this food and KNOW it was the Whiskas food. I firmly believe that Whiskas was part of the recall list but somehow avoided being recalled. Pay offs or whatever. DO NOT BUY WHISKAS EVER!!!!!!!!!!!!!! Don’t be cheap buy the good stuff. I’m serious. It’s hurts when you see your animals sick and one has to be put down. I have tried all the good brands from the vet and sometimes the pet stores and my three guys won’t even touch the good stuff. ScienceDiet, Royal Canin, Eukanuba (even though most vets don’t carry it), but my cats won’t eat it. Maybe the Eukanuba because of the small size. So I have left them alone and just by Whiskas and have had no problems at all. But I have to agree that their coats are not as shiny as it used to be when they were on the good stuff. I am trying to find Whiskas Senior. My cats have thrived to old age (one was 20) on Whiskas. The new Whiskas purfectly chicken made all three my cats sick. They got diarhea and one is still very sick – going back to the vet today! I have sent mail to Whiskas and want to warn people. Please don’t feed this to your cats! So sorry I tried it – vet was closed for their regular food – can kick myself! It’s like junk food for cats – it may be tasty and cheap but it’s absolutely unhealthy!! @Cee — ScienceDiet, Royal Canin, Eukanuba isn’t good stuff too. Cats are carnivores, they have difficulty digesting plant matter, let alone grain products. They need their proteins and fat from animal sources. Buy catfood made from at least 60/70 percent animal products and without grain products or rice. The price you pay more you save in cat litter and vet costs. And a happy, healthy cat! “high quality wet and dry food.” Now he will not eat anything else but this Whiskas. I have bought various other brands of organic dry foods in an attempt to ween him off of the Whiskas but it’s not going very well. I do NOT want to feed him this food, in fear for his health and long term effects on his organs and immune system. He is eating other wet foods, and I am debating on whether or not to only feed him wet food and take the dry (Whiskas) food out, and slowly, if necessary re- introduce a new dry food? Any thoughts? I want what’s best for my cat, but when is choosing to not eat anything else but Whiskas I am left unsure. My cats love whiskas, they cant get enough of it. I mix the whiskas with wet food and they love it. One thing I learned is always feed them both dry and wet food. A perfect balance is what the cat needs. I live all the way in India, and the only brand of cat food I seem to be able to get my hands on is Whiskas. No one here seems to know how terrible it is for cats, and quite frankly, no one seems to care either. I’ve been thinking of switching my cat’s diet back to the rice and meat I used to make for her, but I’m not sure that she’ll get all the nutrition she needs from that. Any idea how I can best go about giving my cat the best (and only) diet she deserves? People should take a look at Whiskas new dry cat food, Purrfectly. It is very comparable to Authority (the only downside I see that authority doesn’t have is the dyes). I am impressed! I am new to the cat world and have this gorgeous siamese kitty with stunning blue eyes. I want and can afford the best food for her however, I am not sure what that is. I have however, in this short time and in talking to people, doing internet reserch, found it to be far from healthy for my purrfect princess. Although my cat loves the taste, I agree with the other individual who said that its like eating McDonalds three times a day, everyday. My reserch continues…. if anyone has any suggestions, I am grateful. We have 5 cats who until now will not look at anything other than the blue packets of Purina with the odd packet of kitten formula thrown in. We got a sample, given to us my the neighbours, and boy our 5 cats are happy. I’m really amazed. I wonder if they changed the formula recently, because we tried it about 4 years ago and it was given the thumbs down by our fur babes, but now they love it! They also eat your Whiskas canned cat food. Cheers! Deanna-I have been feeding my 5 yo cat dry Science Diet since I adopted him as a kitten. I was recently researching something and discovered I really needed to be feeding him something completely different. I am probably giving him diabetes. Cats are obligate carnivores, and also need water in their food as well as to drink. Most if not all experts will agree they need to be fed canned food most if not all of the time. They cannot drink the amount of water that they need. Most dry food is loaded with carbs, when cats need meat. This is what they eat in the wild-they do not eat dry kibbles. One myth is that dry food cleans the teeth. This has never been proven-do pretzels clean your teeth? I’ve had 2 Petco employees tell me that cats need to be on 100% dry food for their teeth. I asked one about it, and she had no studies or anything to back it up. If there is a benefit in decreasing plaque, it is very minimal, and the extra hydration is far more important (this comes from vets, which look at the teeth of hundreds of cats). Nutrition-wise, look for a meat (chicken, turkey, fish, tuna, etc.) as the leading ingredient. Ingredients should not list any by-products, bone meal, corn sources or wheat gluten (the last 2 are especially important). Corn can cause allergic reactions. Wellness, grain free (and Wellness Core), Natural Balance, and Blue Buffalo are highly rated. After I learned about reading the ingredients, I looked at the ingredients in Science Diet Dry (Indoor)-chicken by-product meal, brewers rice, corn gluten meal, and ground whole grain corn were the first 4 listed. Horrible! Not even real chicken, it’s by-product-gross!…and a bunch of corn. It’s then sprayed with nasty stuff so that the cats will eat it. Needless to say, he is off the Science Diet now, and on canned Wellness. Luckily, he loves canned food. I recommend the website http://www.littlebigcat.com. I would start with “Selecting a Good Commercial Pet Food” and “Why Cats Need Canned Food.” “Does Dry Food Clean The Teeth” talks about that myth and cites several sources. These and several other articles are under “Free Article Library” on the left of the page. The site is by a veterinarian. I’ve discovered most vets are not trained in giving pet food recommendations, which is sad. I believe they get incentives from companies like Hills (Science Diet). Hope this helps some. Your cat is lucky that you can afford the best!! Darlene, I would take him completely off the Whiskas food and onto premium canned food, if he will eat other brands of cat food. It’s almost certainly the rancid fats and artificial flavors in the Whiskas that he likes. Mixing premium dry food in the same bag or container with the Whiskas may transfer some of the tastes and smells of this “goodness” from the Whiskas to the premium food and make it more appetizing. Also, if you haven’t already, try a grain-free cat food. Cats seem to like the flavor better. I bought a large bag of Whiskers because the brand I usually buy was unavailable. After feeding my cat Whiskers for about 2 months, I noticed that he was having issues peeing. I took him to the vet, and he had developed a urinary tract infection. While this can be common in male cats, it was most likely caused by this poor quality food. Pay a little more for high quality cat food (I get mine at my vet). Your pet will eat less, and hopefully you can avoid the costly vet bill. Don’t buy Whiskas dry cat food! My husband picked it up because he didn’t see the cats normal food (Meow Mix). When we first gave it our cat he acted strange and kept trying to use the litter box. He also began sneezing a lot, so we thought he had a virus. We continued with the Whiskas along with wet food. Two weeks later, my cat has been at the emergency vet for 3 days with a blocked bladder. The vet said certain cat foods contain too much fiber and magnesium. This caused crystals to form in the bladder which block it. Unless you are trying to kill your cat, do not give them Whiskas cat food! 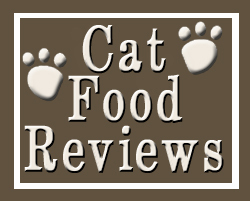 Look through the reviews and you will see similar claims made against different brands of cat food. You will also see a common link to the problem: “After I changed my cats food”, “I tried X Brand because we were out of Regular Brand”, etc. People, cats have sensitive systems. Cats know what “works” for them. A sudden change from one food to another can bring about all sorts of problems. Food must be introduced slowly when changing to a different brand. Please stop saying “Had it not been for the negligence of Brand X, my kitten would still purr here, and the like.” Acknowledge the sensitive nature of our animal friends’ digestion. Don’t run out of X Brand or suddenly change your little ones food for whatever reason. If you do, put the blame where it belongs. Ninety percent of it, at least. I used to run a pet food store and when I brought the expensive canned stuff home, my cat wouldn’t touch it. Nutro, wellness, merrick, etc. This is a guy who was eating leftover mighty dog canned food that I used to put outside for the outdoor cats, along with anything else I had to give them. As far as dry food; I had to deal with a diabetic dog for 7 years and when she didn’t like her food I had to run to give her something else because with a diabetic they have to have food in their stomach before you can give them a shot of insulin (Hence the leftover mighty dog canned food). I have always mixed at least 3 types of dry food together in one canister, usually 4 kinds, so he doesn”t get used to just one brand. After having to be on my hands and knees begging a sick dog to eat is the first and last time I will be begging an animal to eat its food. There is food in their cat bowls even if they don’t especially like it. I know their favorite canned flavors and their least favorites and every other day, they get a non fave. I do animal rescue and every rescuer buys mostly fancy feast if they can afford it or friskies and they cats are hanging in there for years. I am now raising my thrid cat. All my babies lived on Wiskers Dry & Friskies wet. Both lived to 14 years of age, and this girl is doing just fine. I like to give them wet food too as it helps keep everything moving Even my Vet agreed with me(just my opinion).Take care & give them lots of love. I also live in India and Whiskas is the most widely available cat food brand I can find, though some others are available. But, I can’t seem to find any of the ones people tell me are the “best.” My cat has eaten mainly Iams and Whiskas and has had no major health problems (at least because of her diet), and her bowel movements are wonderfully healthy. She is active (a little too much sometimes) and has a healthy appetite. I would love suggestions for good cat food marketed in India. I give her a mix of Whiskas wet and dry food regularly, and she seems fine with it. I have two cats. One is 9 years old and the other one is 6 months old. I must admit that I haven’t paid that close attention to what effect Whiskas may have on my cats. The 9 year old one has been on Whiskas all her life and she seems just fine, although not very active. I syringe fed the younger one for the first 2 months on Royal Canin milk, and afterward I kept with the pellets. She is now on Whiskas as well but after reading some of these comments I would rather go on a more expensive but healthier cat food. Whiskas and Friskies cat food pretty much slowly kills your cat, it causes increased bladder stones and eventually fully blocking your cat, cheap food, high vet bill. More money is spent on the packaging and advertisement then the food itself. A lot of people are suggesting to buy your pet expensive foods for the protein content. I agree that cats are carnivores and that may be best. Not everyone has that kind of money to spend on pet food. I have a cat and dog that I got from the pound. I feed them both common brand dry foods. I have to say that I have started feeding my cat Whiskas, I will not try anything else. I gave her other brands and she would get sick everyday, several times a day. I think it was the red dye. Once I started giving her Whiskas, she stopped getting sick, started gaining weight and is doing really well. You have to do what works for you and your pet. I suggest that some stop making others feel bad for not buy premium brands.